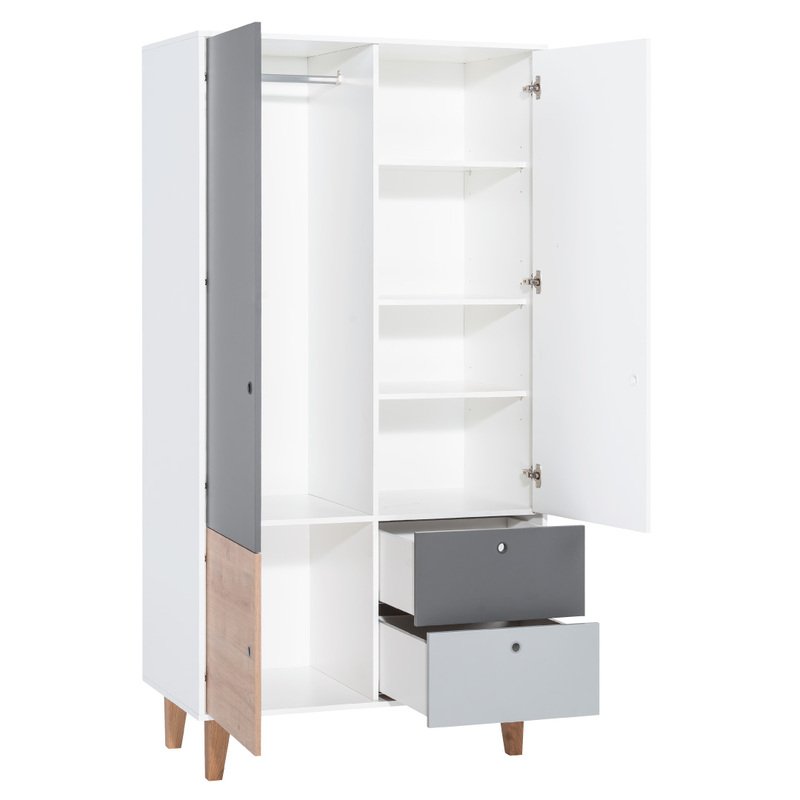 The spacious Concept Two-Door Wardrobe from the Concept collection by Vox features trendy colours and ample storage space. The Concept collection has specially selected finishes tailored to complement a contemporary environment. 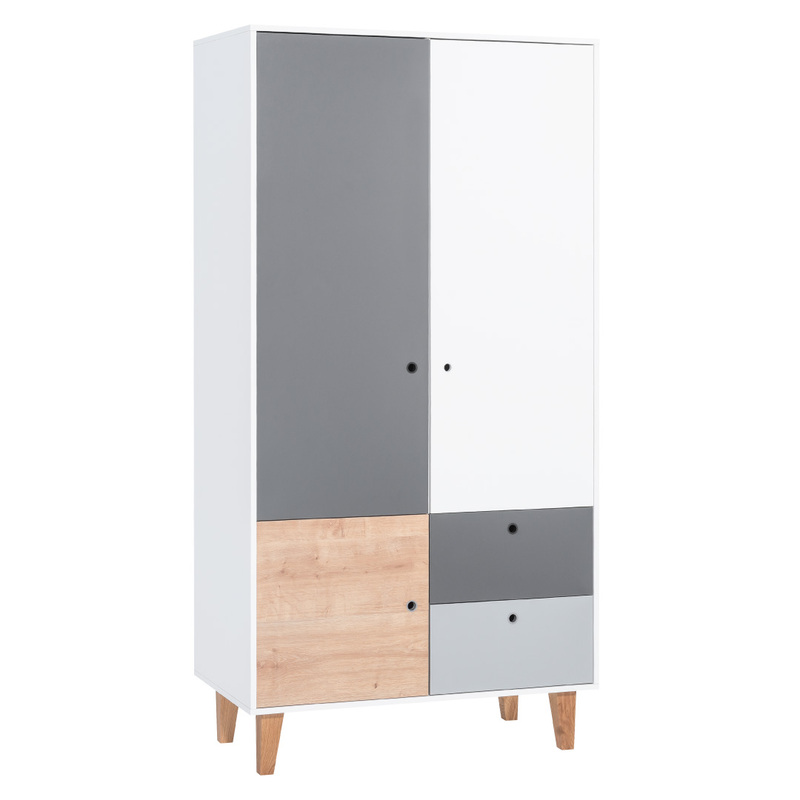 Perfect for teenagers and kids rooms, this wardrobe features durable materials and sturdy construction. The white frame contains various different-sized and coloured cabinets, making sorting and organising that much easier. On the left side two cabinets open to a hanging rail on top, while the right has four shelves on top and two large drawers on easy-slide rails at the bottom. 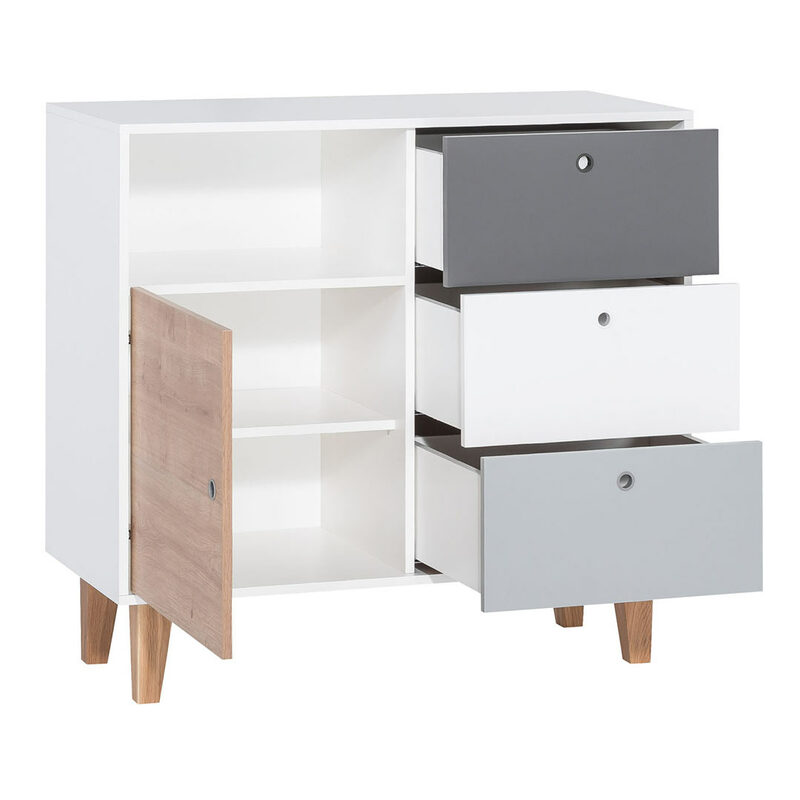 The drawer and door fronts in White, Grey, Graphite and Oak open easily with the silicon tube finger holes blending into the colour fronts. 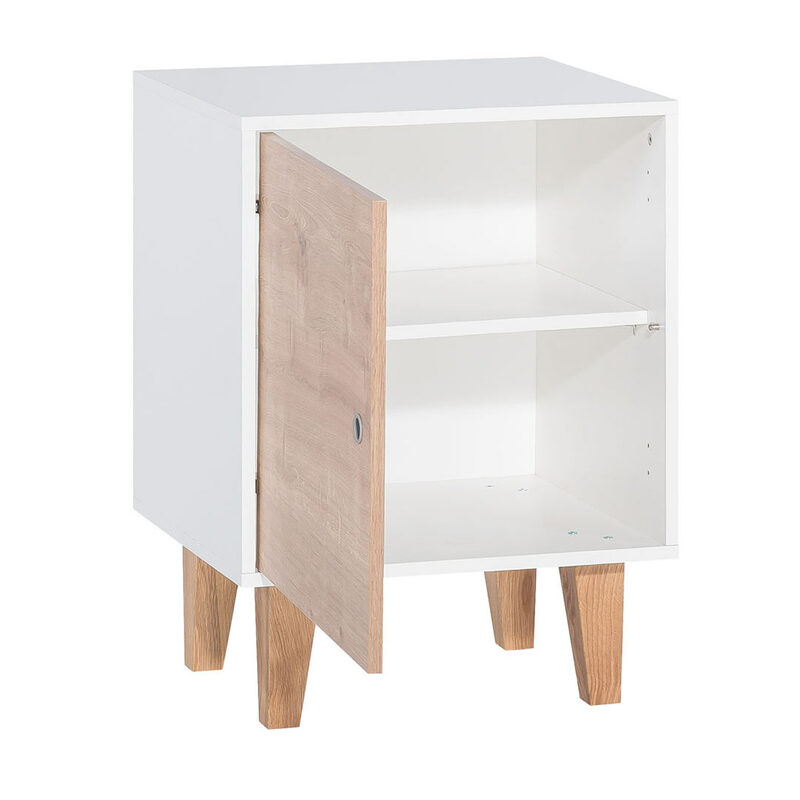 The oak legs lifted above the ground allows easy cleaning underneath, while the surfaces of laminated wood are resistant to damage and damp and also easy to clean.